After the second arrest, his bail was revoked and he was sent to the Plymouth House of Correction for 60 days for violating the conditions of his release. Harvey said the victim was “chewed up” by Grispi’s pit bull, which had been trained to attack her. She is in the hospital with serious injuried, he said. When Middleboro Detective Simonne M. Ryder searched the house Monday, she uncovered a pot farm, weapons and ammunition, police said. Grispi was ordered to, nicknamed “The Fluke.” hand over his weapons, many of which were not secured, after the second incident. He said Grispi 3-year-old was sitting next to a box of unsecured guns and ammunition when police arrived. Grispi is charged with two counts of assault and battery, assault and battery with a dangerous weapon, two counts of violating a restraining order, animal cruelty, malicious damage to a motor vehicle, drug possession to cultivate marijuana and improper storage of a large capacity firearm and rifle or shotgun near a child. Ugh. Innocent until proven guilty and all of that, but this is just awful. Josh Grispi has not competed in MMA in a while now, not since he washed out of the UFC. 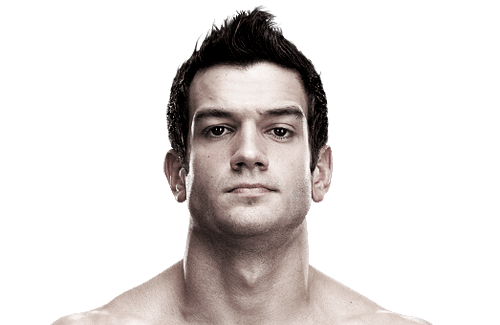 Josh Grispi went on a four fight losing stream within the UFC before he was cut in 2013.